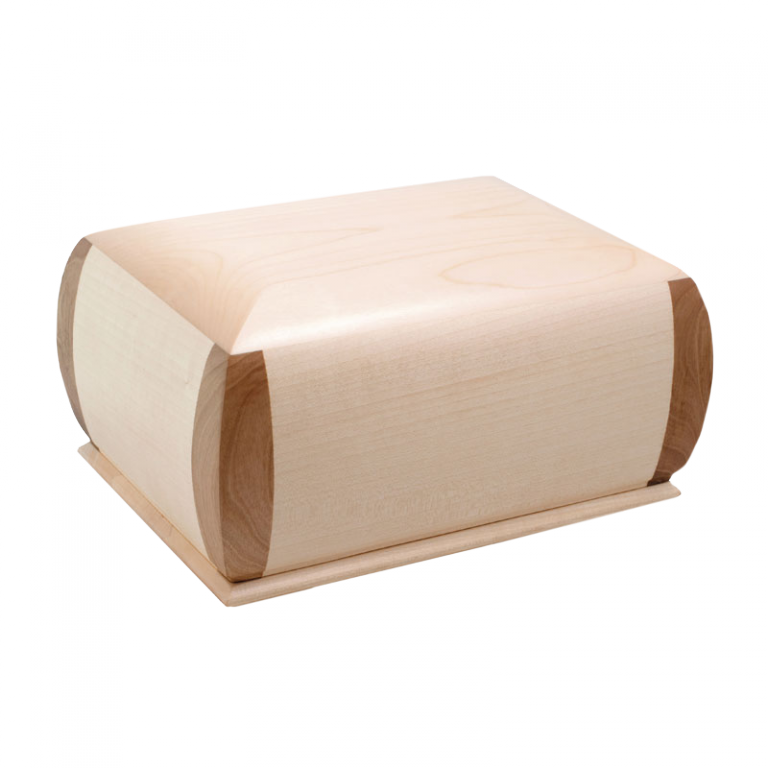 Description: Handcrafted urn in solid maple with a satin matt finish. Design: Simple lines designed to give a sense of sturdiness. Fine manufacturing on corners with inlays and base edge. Precise finishing. Structure: Urn in solid maple. Walnut inserts. Removable base. Base seal: Slab with combed joints to prevent warping. Attached with 6 screws. Non-slip silicon feet. Manufacturing: Handcrafted and professionally made. Optional accessories: Satin urn pouch with laces (22,4″ x 18,5″). Notes: These measures do not allow to accommodate the painted sheet metal U-Z 1 or aluminium container U-Z 2.